Tea artisan Koji Nagata, who crafts our Top Leaf and other teas, was recently featured in an episode of the Japanese TV show Dawn of Gaia. The episode of the business show presents examples of the "branding" — in the marketing sense — of small regions that are relatively unknown in Japan but which have amazing products to offer consumers beyond their traditional reach. The "Zen" strategy is essentially a best-of-the-best approach that includes actively certifying its member producers as well as induction into an elite showcase titled "The Zen 100," of which Koji and his tea are inductees. 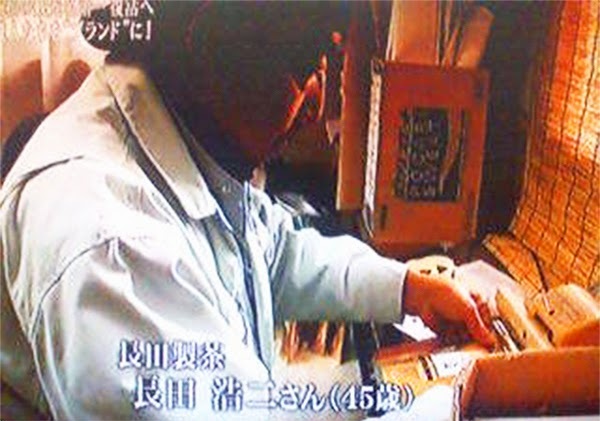 Koji is shown hard at work in his office in an episode of the Japanese business show Dawn of Gaia.